A dental crown is a fixed prosthetic object that is placed over a tooth or an implant, in order to restore its strength, shape or size, and to improve its esthetic appearance or function. Dental crowns can be crafted to repair a single tooth, multiple teeth, or even to fill a space (in conjunction with dental bridges and implants), while they can be made from various materials, such as gold alloys, porcelain, resins, ceramics, zirconia, etc. Although porcelain crowns are most preferable (as they are affordable and they look like normal teeth), zirconium crowns are considered to be the best choice. Zirconium crowns are made up of zirconia (zirconium oxide) and they offer significant advantages over the other types of crowns; they can be colored and shaped to closely match any natural teeth, they are biocompatible, they have got appreciable strength, and they are corrosion resistant. At VF Laser Clinics, our surgeon dentists and prosthodontists focus on utilizing the best techniques for comprehensive care, returning your mouth to full health! To protect a weak tooth. To restore a broken tooth. To cover a damaged tooth or severe enamel erosion. To improve a tooth’s aesthetic appearance. Excellent Aesthetic and Functional Results. Most Procedures are Completed in 2 Clinic Visits! We only use High Quality Crowns (Porcelain and Zirconium). Treatments are Performed by Experienced Dentists and prosthodontists. We Use Cutting Edge Technology Equipment. 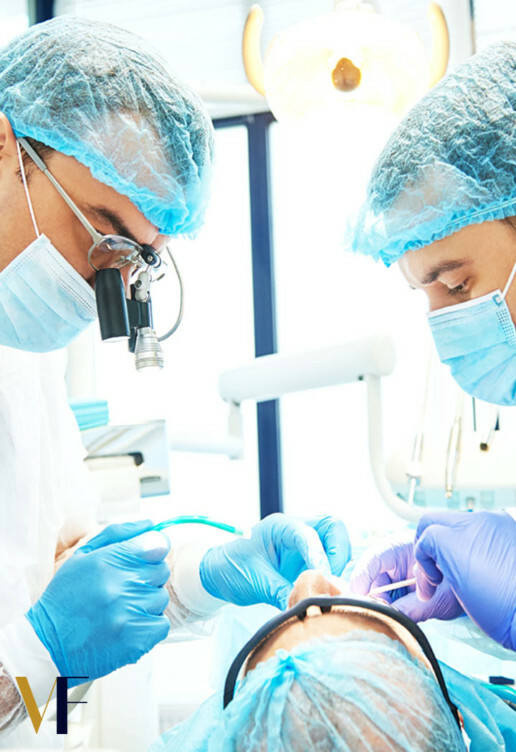 ARE DENTAL CROWN TREATMENTS SAFE? All dental methods and medical procedures we’ re using are proven to be safe and effective. HOW CAN I AVOID ORAL DISEASES? 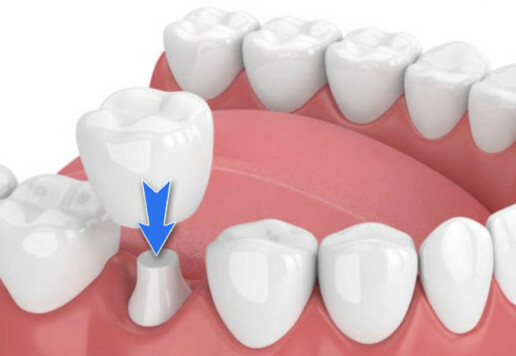 At the first visit, a temporary crown is placed in order to allow you to function normally, until the permanent crown arrives for placement.